“Tort” is the legal term meaning injury. Normally the term tort is used in the context of personal injury. However, the law recognizes economic injuries to businesses. In today’s economy, much of the value of any business lies in its reputation, relationships, intellectual property, trade secrets, and knowledge resources. A business tort is an injury to these assets. If your business has been injured by the actions of another, you may have business tort claim. It’s in your best interests to talk to a business tort attorney before taking any further action. The workplace plays a central role in the lives of nearly all Florida residents. You likely spend thousands of hours each year on the job or at your place of business. As an employee or employer, you have certain rights and protections that are afforded to you by state and federal employment laws. It is important that employers understand these rights and comply with labor laws that affect the business or workplace. As an employee, you should be aware of your rights and be prepared to take action if they are violated. Nnamdi Jackson, a commercial litigation attorney, provides legal counsel on broad range of business disputes and contentious commercial litigation matters. Mr. Jackson has represented numerous corporate, small business, start-ups and professional clients in a wide array of business litigation matters; including: breach of contract, unfair business practices, business fraud, partnership disputes, shareholder disputes, unfair competition and trademark infringement, among others. 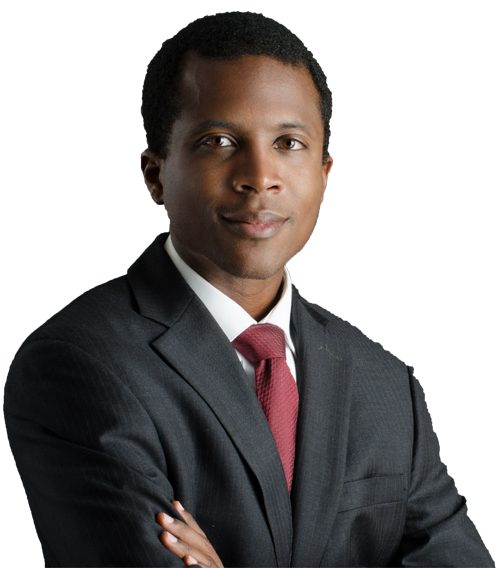 Nnamdi Jackson also understands the vitality of employment law in creating safe, productive, and fair work environments. Equality within the workplace ensures that everyone has equal opportunities to fair compensation and cannot be denied hire, benefits, promotion or reasonable accommodations for prejudicial reasons. Mr. Jackson litigates cases involving unlawful discrimination, harassment, termination, unpaid wages, and other labor issues. Whatever work-related legal challenges you grapple with, the Law Office of Nnamdi S. Jackson can provide you with up-to-date, on-target information and recommendations appropriate to your specific employment law situation. We are a law firm dedicated to resolving your workplace concerns. Whether you are a business, senior executive, mid-level manager, or perform clerical or blue collar work, Mr. Jackson will personally manage your case and make sure you are fully informed about all of your options. It is his goal to always get the best possible result for each client. The Law Office of Nnamdi S. Jackson, P.A. serves Miami, Fort Lauderdale, West Palm Beach and surrounding areas. Our South Florida business litigation attorney represents entrepreneurs, professionals, small businesses, inventors, and private companies as plaintiffs and defendants in a range of business litigation matters: Business Disputes, Breach of Contract, Partnership Disputes, Unfair Competition, Trade Secret Disclosure, Breach of Fiduciary Duty, Unfair Business Practices, Business Fraud, Shareholder Disputes. 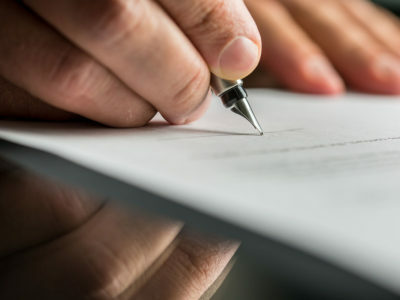 Business litigation can involve simple business transactions as well as complex business transactions, sometimes involving thousands of pages of corporate legal documents. Prosecuting or defending such lawsuits requires detailed investigation and preparation. Our firm understands that litigation is significant for small businesses – it can be time consuming and costly. We understand that many business owners, particularly start-ups, lack the resources, both financial and operational, to handle diversions from their daily business transactions. For most South Florida start-ups and small businesses, generally surviving on small profit margins, business litigation costs can often prove disastrous. Although business litigation expenses can be tax deductible and expensed in most cases, the time cost and lost production of a small business is extremely burdensome for the business owner. For that reason, our attorneys are sensitive to the legal fees necessary to properly defend or prosecute a business matter and will do whatever we can to provide flexible fees and billing options. 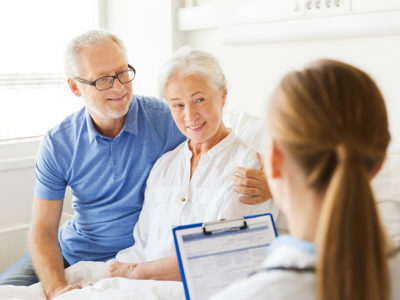 At every stage of the business litigation process, from evaluation of claims, staffing and initial strategy development, to document and information management, through discovery and trial preparation, settlement or verdict, our South Florida business litigation lawyers are cognizant of client needs and zealous in our representation of those clients. Earlier this year, the United States Supreme Court decided New Prime Inc. v. Oliveira. The Supreme Court ruled that transportation workers engaged in interstate commerce—including those labeled as independent contractors—are exempt from the Federal Arbitration Act (FAA) and thus cannot be compelled to undergo mandatory arbitration. Justice Gorsuch, writing for a unanimous Court, held that plaintiff Dominic Oliveira, a trucker driving for defendant New Prime, had the right to litigate his wage and hour claims in court, rather than have them decided by an arbitrator. Earlier this year, the U.S. Supreme Court agreed to consider whether federal courts have the authority to waive a Title VII plaintiff’s failure to exhaust administrative remedies before the Equal Employment Opportunity Commission (“EEOC”), or state equivalent, before filing a complaint in federal court. A person who wants to sue under Title VII (or other federal employment anti-discrimination laws) must first file a charge of discrimination with the EEOC. This is known as “administrative exhaustion.” The case before the Supreme Court is Fort Bend County v. Davis. Lois Davis, an IT supervisor for Fort Bend County, Texas, sued Fort Bend County in federal district court, alleging retaliation and religious discrimination under Title VII of the Civil Rights Act of 1964. Davis claims she was fired for not reporting to work on a Sunday (she attended a church service), in retaliation for reporting that she was sexually harassed and sexually assaulted by a superior. She filed sexual harassment and retaliation charges with the Texas Workforce Commission. After investigating, the Commission told her she could sue and she brought a retaliation and religious discrimination lawsuit against Fort Bend. Fort Bend pointed out she didn’t exhaust her administrative remedies by filing a charge of religious discrimination with the Texas Workforce Commission. After several appeals, the Fifth Circuit reversed the district court’s ruling dismissing Davis’ claim. In its reversal, the Fifth Circuit ruled that a federal court could hear Title VII claims even if the plaintiff had not completed an administrative process required under Title VII because Fort Bend waived the defense by waiting five years to raise it. The U.S. Supreme Court dealt a blow to prospective whistleblowers in Digital Realty Trust Inc. v. Somers (February 21, 2018), making it more difficult to bring a retaliation claim under the Dodd-Frank Wall Street Reform and Consumer Protection Act. The justices said that a part of the Dodd-Frank Act that protects a whistleblower from being fired, demoted or harassed only applies to people who report legal violations to the SEC. In a unanimous opinion, the U.S. Supreme Court held on November 6, 2018, that the Age Discrimination in Employment Act (“ADEA”) applies to all public employers regardless of the number of employees. The ADEA protects individuals 40 years or older from unlawful discrimination in the workplace.